The timeworn practice of "gather requirements, write code" is long gone. But the new world of user experience design is not as simple as putting the user first. The balanced approach aligns your business mission, user needs, and the growing body of knowledge around how users interact with digital products. A good user experience is of little value unless that experience moves the user toward accomplishing your company's goals. This is why (n)genius media takes the time to explore and define your company's mission, understand your company's brand and products, and consider all constraints and parameters that must be examined. This is, of course, the heart of UXD. Any data that reveals the intent, inclination, or frustration of the user is pure gold, and your company already knows a lot about its customers. (n)genius media may challenge, refute, or confirm this data, but we won't ignore it. However, nothing can replace direct face-to-face or voice-to-voice interaction with your target audience; watching, listening, probing, and analyzing behaviors, attitudes, successes, and failures while using your product. It goes without saying that UCD is built on user research, but not every design decision will have explicit, local research data to back it up. This is where heuristics and established best practices play an important role. Countless thousands of tests and experiments have resulted in an ever-increasing understanding of user experience, which, if applied appropriately, can help avoid common pitfalls. And any design that falls short of being fully responsive and accessible has already dismissed entire audience segments. 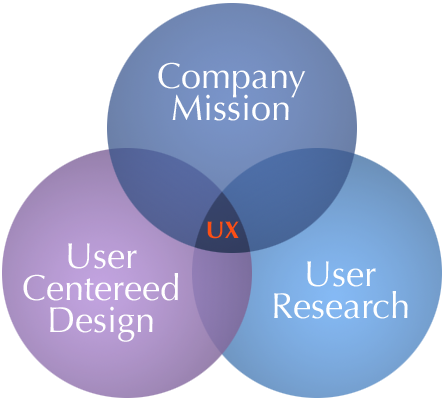 User-Centered Design is the glue the connects the user with your business.